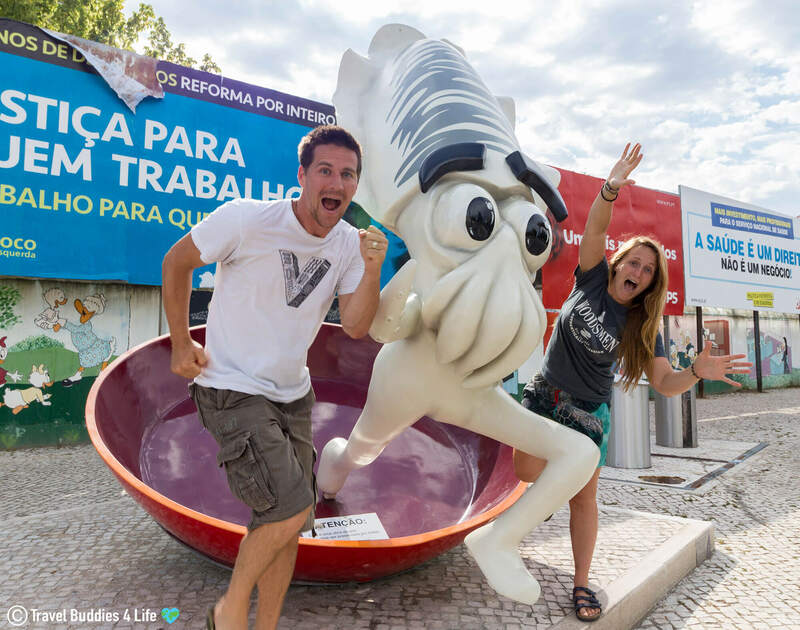 As a couple of scuba divers traveling through Europe, Portugal was definitely on our vacation list, but my biggest reservation – would the diving be any good? Diving in Portugal can easily fly’s under the radar, and understandably so. Next to world-class scuba countries like Egypt and South Africa, which are a short plane ride away, who would think twice about planning a dive vacation to the land of beaches, relaxation and let’s not forget… choco frito (which is definitely not chocolate. Hint: take a look at the picture below). For land loving travelers, Portugal has got it all. 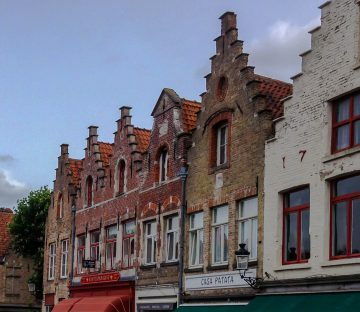 The history, food, and festivals provide plenty of entertainment and leisure for locals as well as tourists throughout the year. But being a country where land mingles with the beautiful blue sea, most people travel to Portugal first and foremost for their watersports. 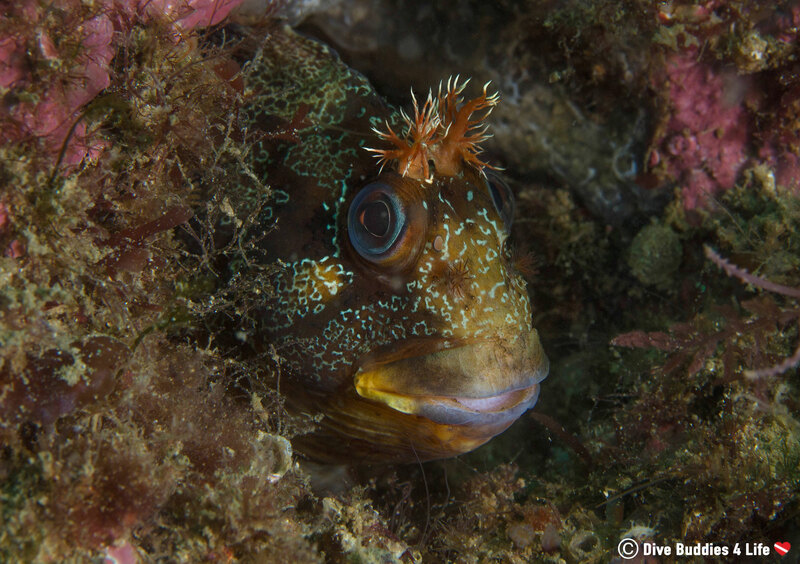 Diving on mainland Portugal is often forgotten by scuba fanatics, after the eloquent beauty of the Azores and Madeira archipelagos. Quite frankly I can’t say I blame them. The beauty and awe that I have witnesses underwater on São Miguel Island have indeed left me speechless. 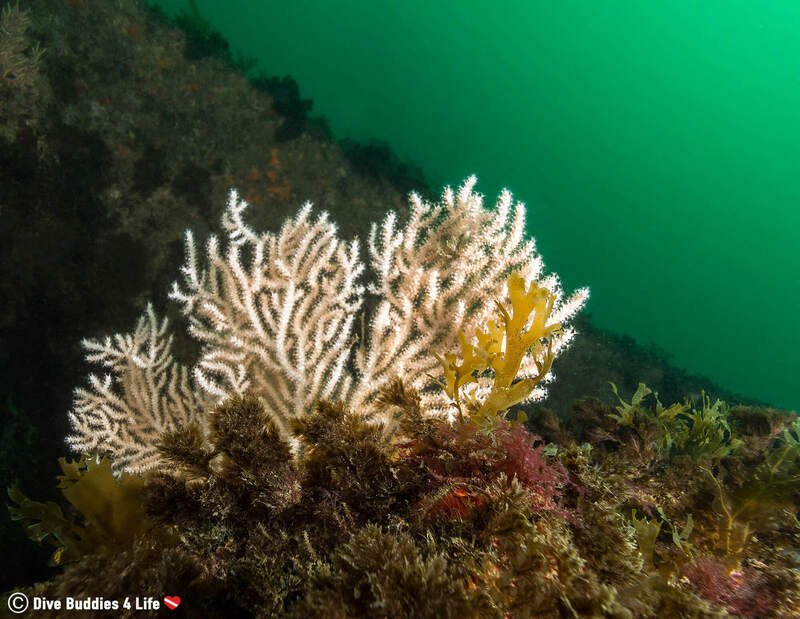 But even though the diving can hardly be compared, there is still lots to be seen and a different kind of beauty that awaits discovery off mainland Portugal. 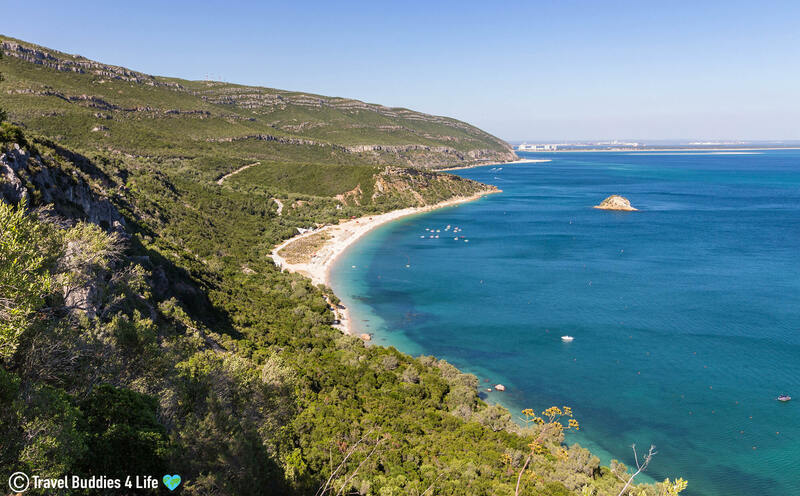 When you casually start looking for dive sites on mainland Portugal, the areas that are quickly brought to your attention are Sesimbra and Peniche. 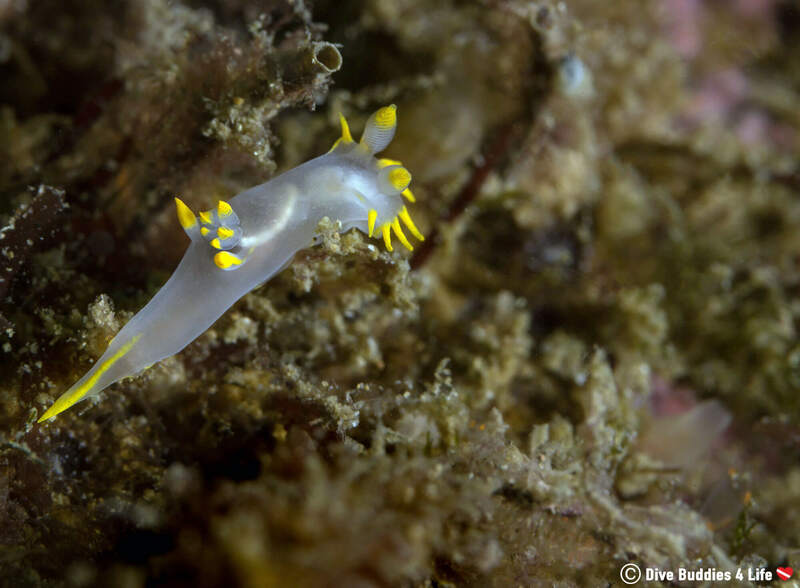 As we quickly found out both Sesimbra and Peniche are excellent choices for diving, and in spite of being only two hours distance from each other, the marine life and landscape are worlds apart. But for now, let’s talk about diving in Sesimbra. The small beach town of Sesimbra is found only 40 kilometers away from Portugal’s capital city, Lisbon. If you were to look at the country as a whole, Sesimbra is on the west coast, pretty much in the central region of the nation. Sesimbra is a first-rate resort town resting in the foothills of the Serra da Arrabida mountain range. 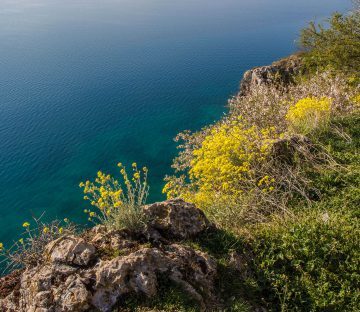 The stunning landscape is composed of rich green mountains and sublime beaches, making it a very sought out retreat for both travelers and locals. The location prides itself on tourism but retains much of its small-town fishing village atmosphere. When you pinpoint Sesimbra on a map, anyone will quickly see that this town is on a southern facing bay just across from the Tróia peninsula. 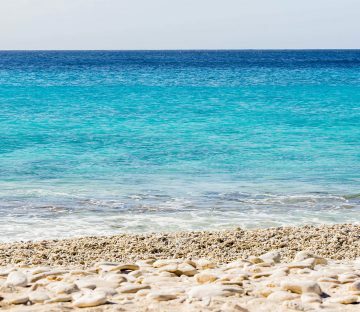 Here, the diving and beaches are pretty sheltered from the northern blows of the open ocean making it an ideal spot for all-year-round diving. The River Gurara is the go-to shipwreck for diving in this region of Portugal, and it is recommended for advanced divers only. The wreck is a notable one for the country’s history as some consider it as “the largest accident which occurred in Portuguese waters in recent years.” The wreck is rumored to have been a drug ship thanks to the suspicious circumstances surrounding the sinking and the ship captain’s refusal to follow the coast guard’s orders. 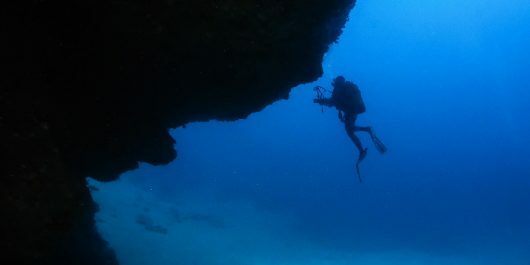 Apart from shipwreck diving, there is also a range of shallower sites either to the west towards Cabo Espichel or the east around Cabo de Ares. Some of the most notable ones include: Jardim das Gorgónias, Baia da Armação, Ponta da Passagem, Pedra do Meio and Pedra do Leão. To explore the waters off the coast of Sesimbra, Haliotis Diving Center was our go-to dive shop. From our arrival at 8 AM sharp, we were greeted by the staff and made to feel right at home. 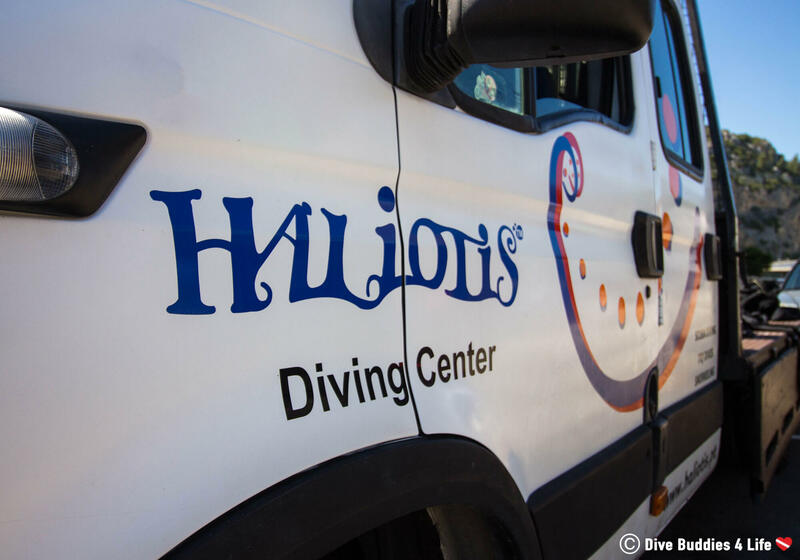 Contrary to some of the tiny and cramped shops we have used before, the Haliotis center was spacious and very smartly put together – making it ideal for divers. 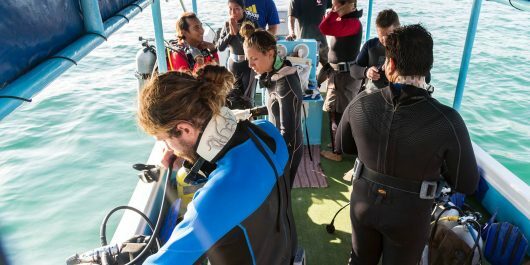 With exterior doors giving access to the changing rooms, filling stations and equipment all the divers getting ready for the morning dive could comfortably go about their business without worrying about getting in each other’s way. Because the shop was not right beside the docking area – a minor inconvenience – we prepped our gear and loaded it onto a truck to be shuttled to the boat. It took us about 20-30 minutes by zodiac to get to the first and furthest dive site of the area. The River Gurara was a 175-meter (574 foot) long Nigerian freighter that went down on February 26, 1989. The boat is currently split in two and now an artificial reef located inside Luiz Saldanha Marine Park. 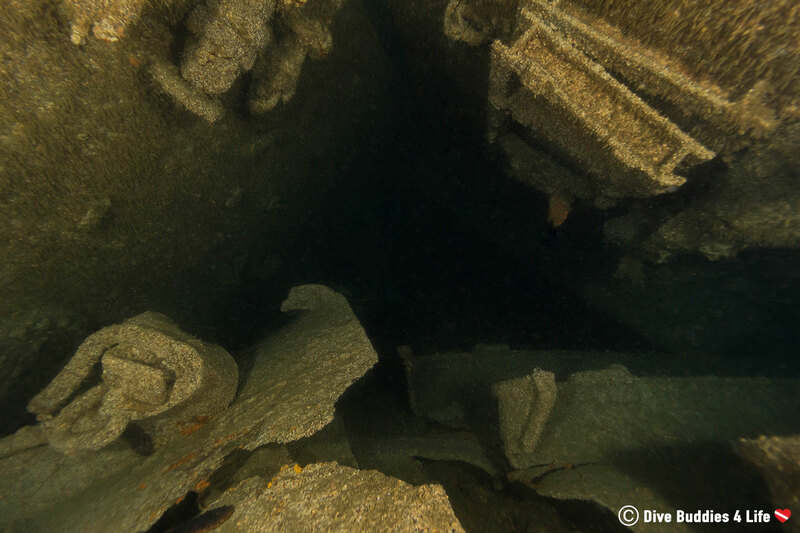 Because of the distance between the two parts of the shipwreck, River Gurara is typically dived as two separate dive sites: the stern being down to a depth of 20 meters (66 feet) and the bow at 30 meters (99 feet). In spite of winds and currents, sending our hopes for decent visibility straight down the toilet, our dive plan was to visit the stern of the ship. 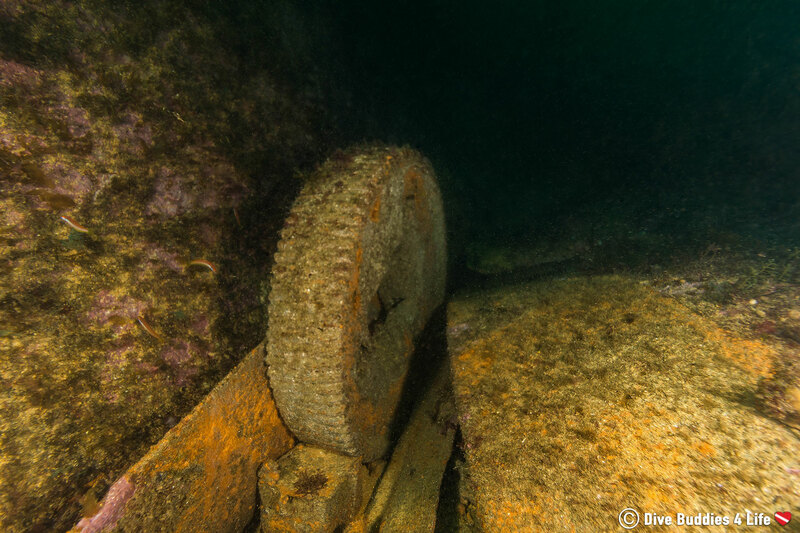 This would allow us to check out engine parts and the magnificent ship propeller, which conveniently happens to be sitting upright on the bottom of the ocean consumed by marine life. As best as I could, I tried to snap a picture here and a picture there of the wreck dive, but today was by no means a wide angle day. Some of the best visibility came when we did a small swim-through penetration into the chasm of the ship. As soon as we entered the shelter of the Rivera Gurara, the difference in water conditions was like night and day. 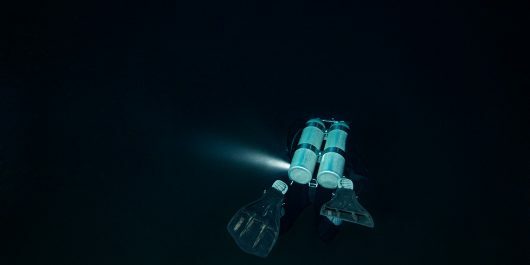 The water was deathly still, inky black and Joey’s dive lights lite up the ship’s chamber in its entirety. We ended the dive with a giant grouper sighting amid the boat rubble, but unfortunately, he was hidden too well for a good picture. After a tank swap, lunch break, and lens change, because the day was just not conducive to wide-angle photography, we headed back out on the water for a second dive. 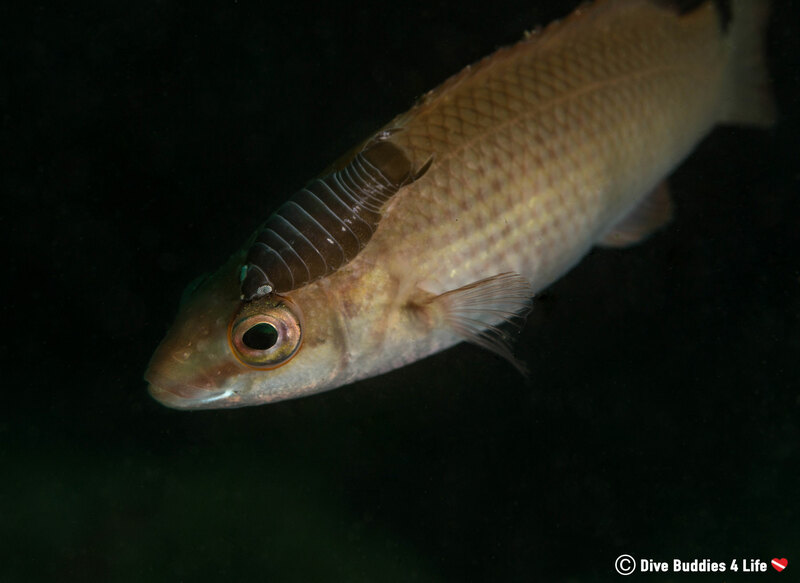 This dive was much closer to the harbour and much shallower than the last, giving us time to take it slow and focus on capturing so good macro shots. Interesting Fact: If you have a green thumb, the Sesimbra/ Arrábida Region is an area rich in plant life. In fact, the surrounding bodies of water are recorded to have around 70 types of seaweed. Sure most of the sea life in Sesimbra may not be as vivid as your typical tropical species, but they can still pack quite the WOW factor. 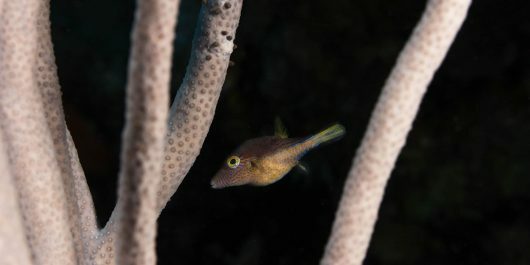 Just take a look at this Tompot blenny (Parablennius gattorugine). 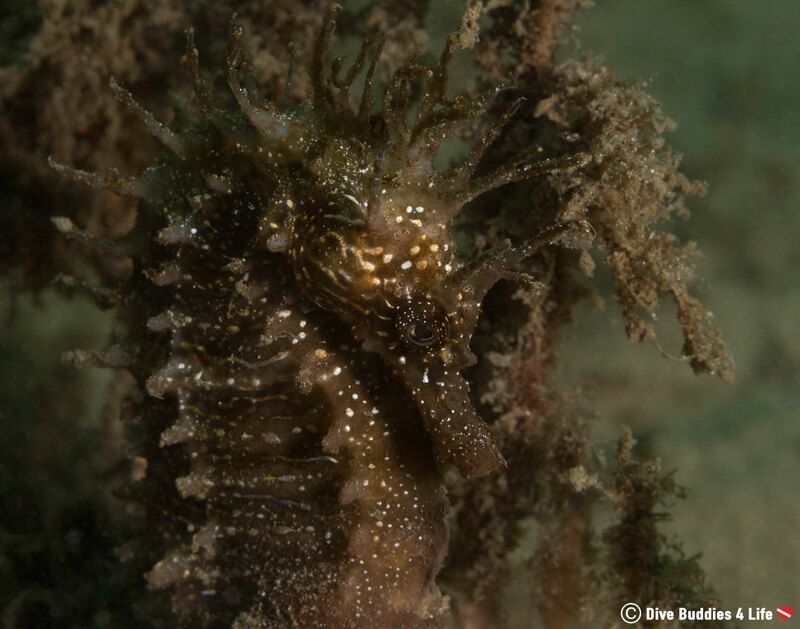 We could have explored the Middle Rock dive site pretty thoroughly, but when our dive guide/seahorse whisperer found me a pregnant male seahorse with a bulging belly, I could hardly tear myself away. It goes without saying that, we spend a good chunk of our time watching this five-inch creature gently swaying and sleeping in the tide. Is diving in Portugal any good? I didn’t really have any expectations for diving in Sesimbra apart from just being happy with a camera in hand, and I had a great experience. The visibility may not have been the greatest due to recent high winds of the coast, but what Sesimbra lacks in color and water clarity, it more than made up for with astounding macro life. Of all the things that could have shocked me about diving in Sesimbra, the biggest thing was the water temperature. For some reason, I was always under the impression that Portugal in its entirety was a warm water diving spot. I think this preconceived notion came from the beachy keen pictures and its relative southern latitude. 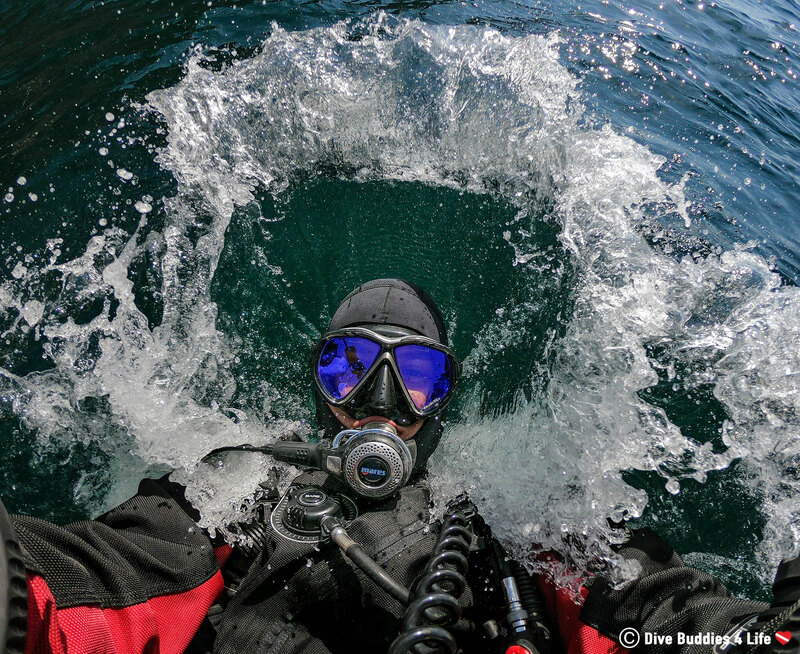 You can imagine my surprise when I learned that even though above water it was scorching and sweaty temperatures, it was highly recommended that we bust out our drysuits to stay warm in the chilly productive water of the Portuguese Atlantic ocean. So back to my initial reservation about Sesimbra, Portugal – would the scuba diving be any good? The answer in short – if you’re looking for good diving you will certainly find that on mainland Portugal, pending the cooperation of the tides, wind, and weather. 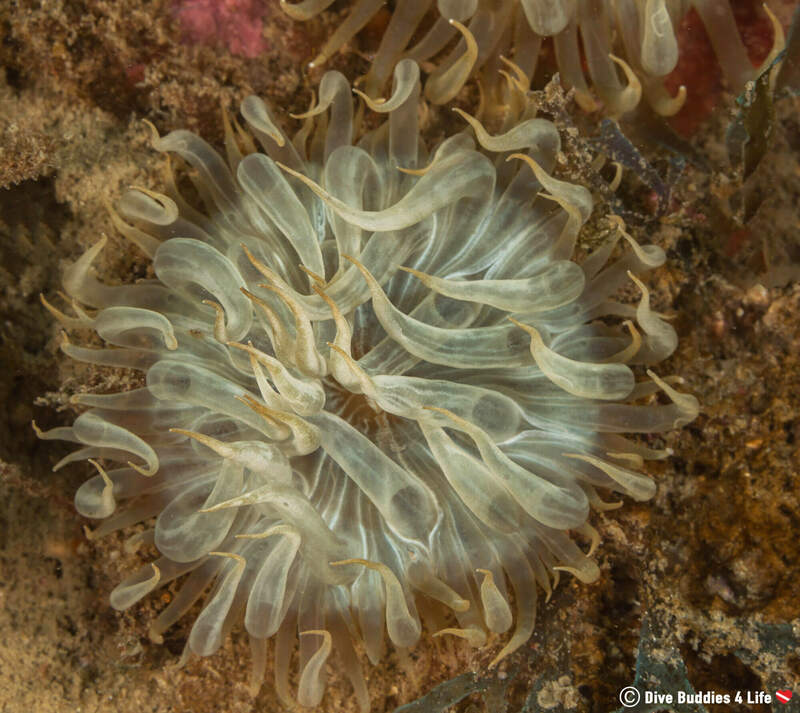 There are neat things to see and plenty of good macro life to occupy any underwater photography. Joey and I loved our dives in Sesimbra. 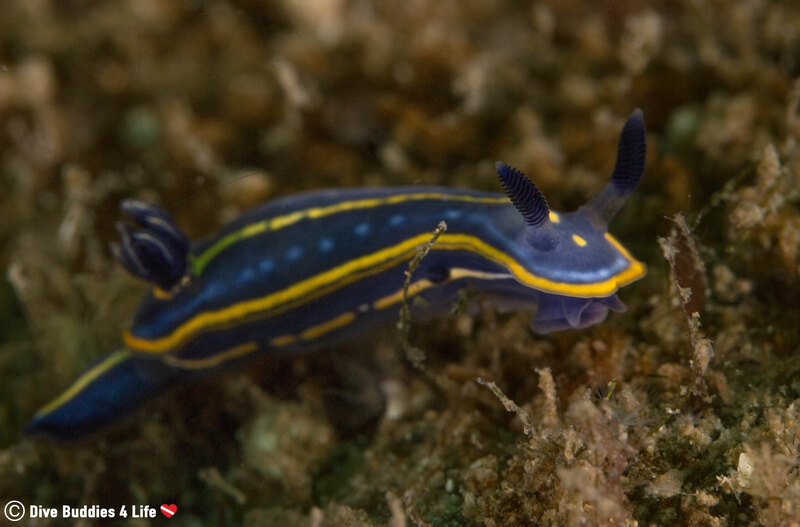 But if you are looking for world-class diving – go to the Azores Islands. You really can’t beat the top-notch visibility and animal-filled diving there! When preparing a budget for diving in Sesimbra, Portugal expect to pay around 35€ for a single boat dive with tanks and weight included if you choose to bring your own gear. For a double dive of the same nature, the cost is 55€. 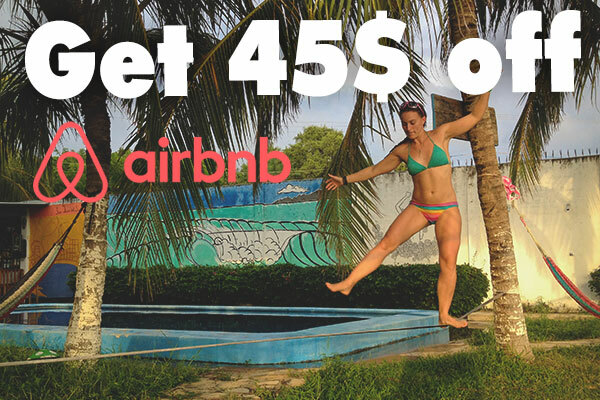 If you are traveling light (i.e., with no dive gear) cost on top of the dive trip price can be between 20-50€ depending on what pieces of equipment you choose to rent. 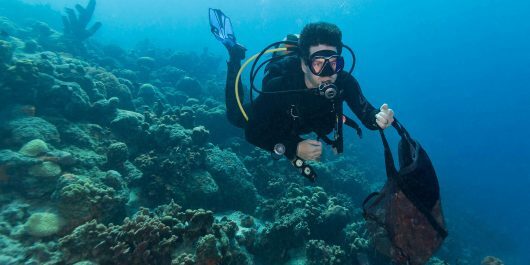 Should you be looking to take a dive course, there are lots of opportunities to further your knowledge ranging from simple to complex. Prices for classes are very dependant on which certification you are looking to accomplish and can range from 50€ to well over 1000€. Scuba divers planning to dive from mainland Portugal need to be aware that diving in the ocean is cold and cold water gear is a necessity all year round. 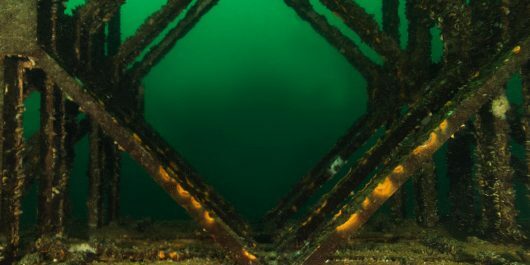 The busiest dive time is in the summer months when the water is at its warmest, however, the best time to dive, according to local divers, is actually in the winter months (i.e., January and February) when visibility and water clarity is at its best. 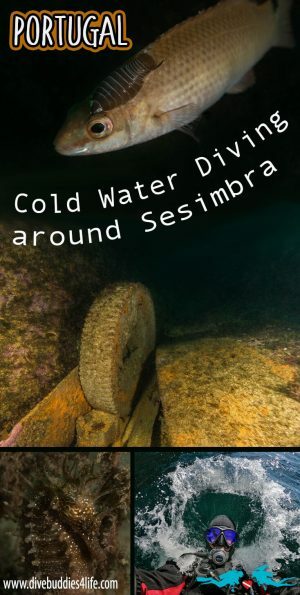 Sesimbra has plenty of sites to visit for all levels of divers. The minimum requirement is having your Open water certification or equivalent. 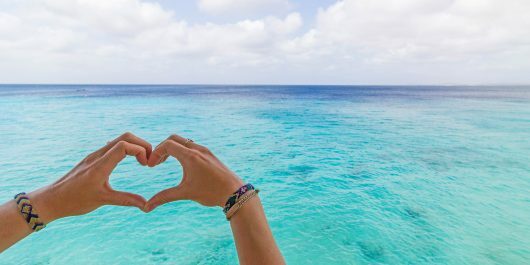 For non-certified divers, there is the opportunity to Try a Dive, where you will be taught the scuba diving basics and taken on a quick 20-minute submersion experience in the relatively shallow water. 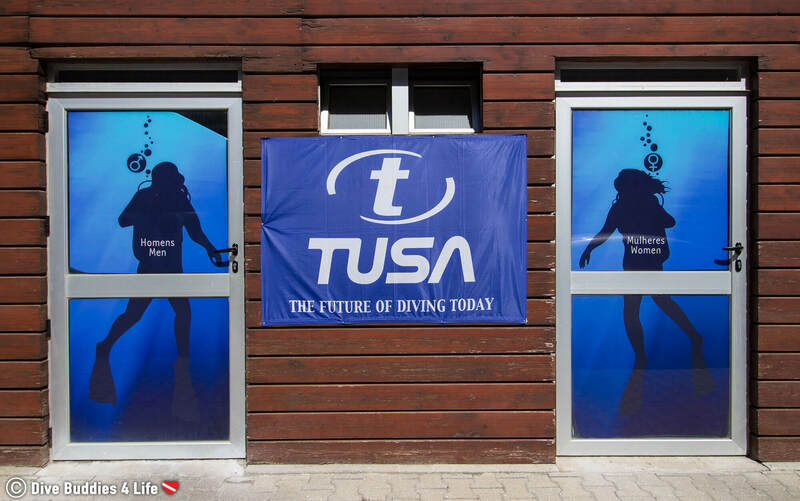 There are a small collection of dive companies available in Sesimbra, but for us, one rises above the rest. 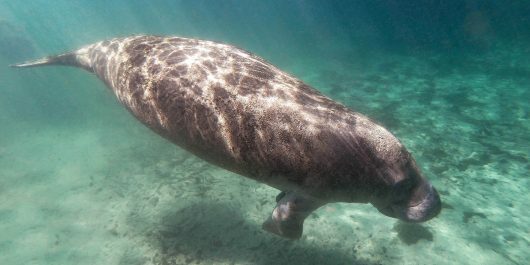 We were so, so, so pleased with our dive adventures with Haliotis dive center. They were a very professional company, that was easy to reach via email and made planning our dive trips a breeze. There is no question in my mind; we loved our time and the staff in Sesimbra. 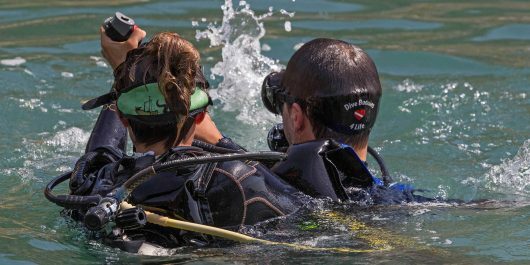 If you are ever visiting Europe and want to dive into Portugal, reach out to the crew at Haliotis dive center. They have several shops all around the country, including on many of the islands, and would indeed make your dive experience a memorable one. Is Portugal on your travel list? Would you ever brave the cold in an attempt to dive on the mainland of this country?